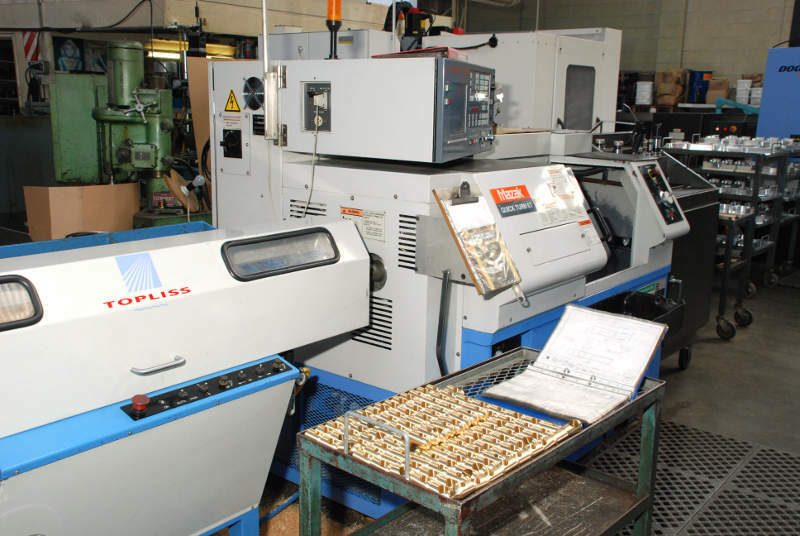 We have 3 CNC milling machines ranging in size and specification. Maximum machining table stroke 762mm x 410mm - however contact us if your part exceeds these dimensions and depending on machining requirements we may be able to fit it in. 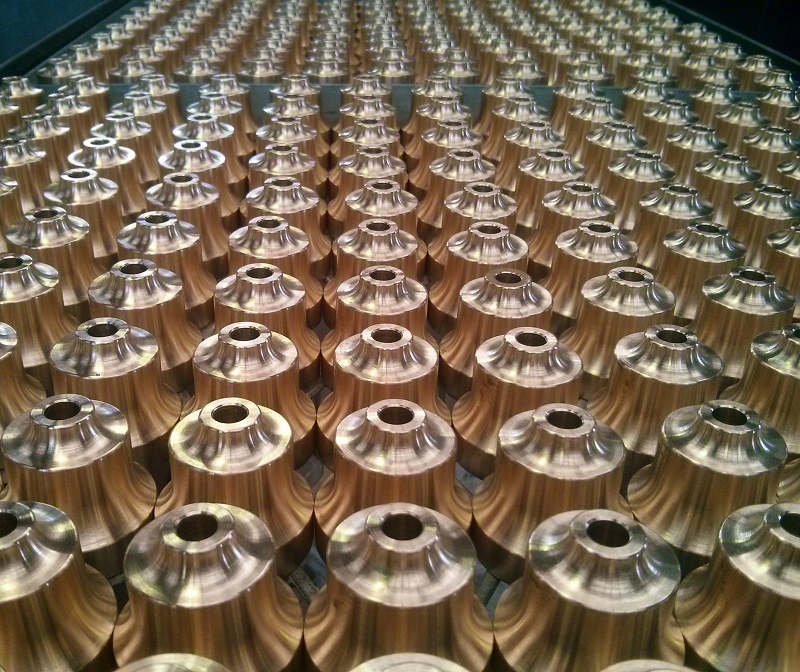 4th Axis machining capabilities are useful for complex shapes or production machining of different part faces in one cycle. We can also design and manufacture loading jigs, fixtures and pallets for fast loading of jobs - reducing component cost on larger production runs. 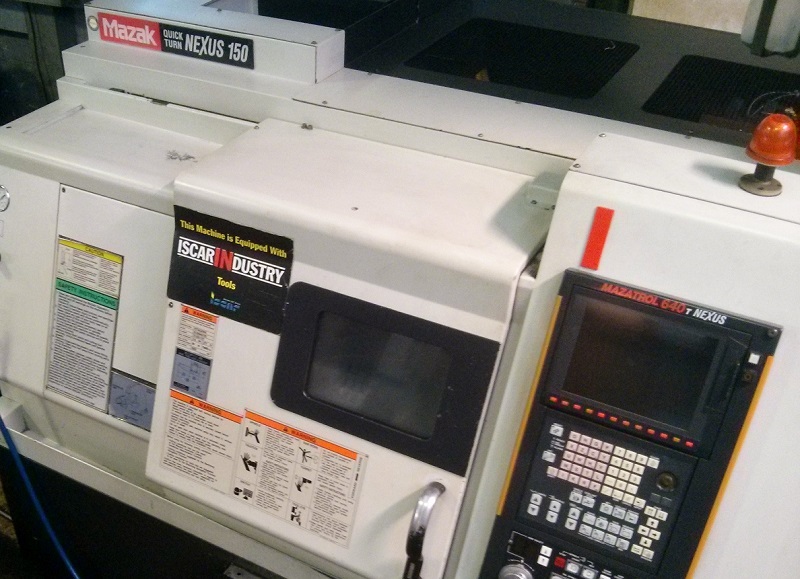 We run 5 CNC lathes of various sizes. These are equipped with bar feeders for automated production capability and an automatic tailstock for long parts. We also have an automatic sub-spindle for turning both ends of a part in one cycle. 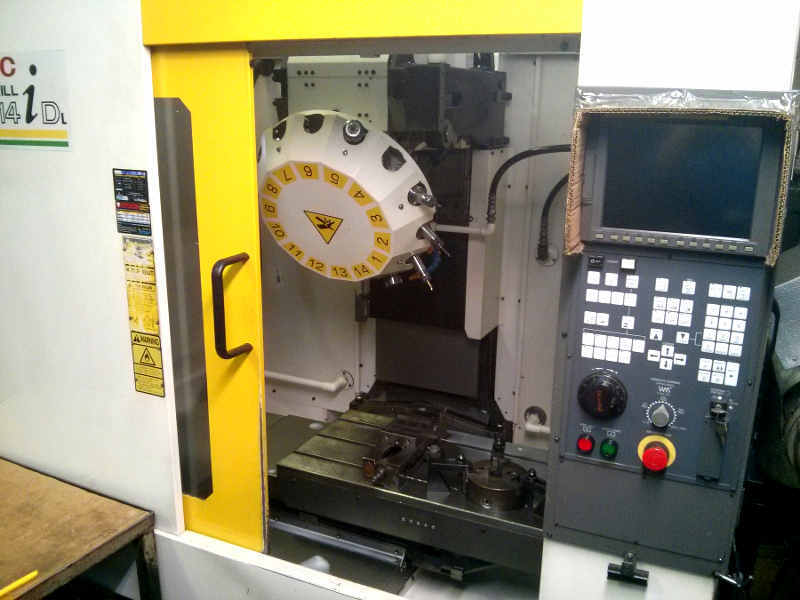 Some of the lathes are also equipped with live tooling for milling of the turned parts in-cycle - see multi-function CNC. Maximum bar stock size Ø65mm for automatic feeding, however we can machine larger diameters when hand loaded. We are currently running two multi function lathes. 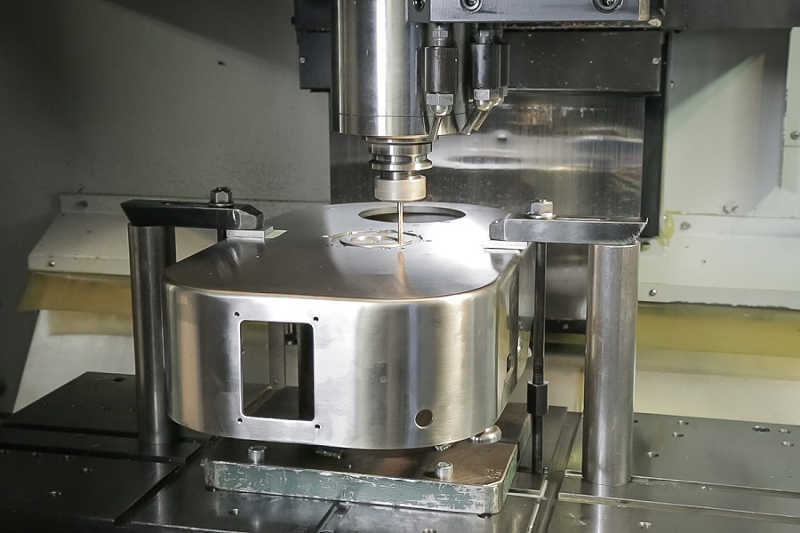 As well as being fully capable lathes, these machines have milling capability with X,Y,Z and C axes, one with a sub spindle to allow machining of both ends of a part without operator intervention, and one with a tailstock for long parts. 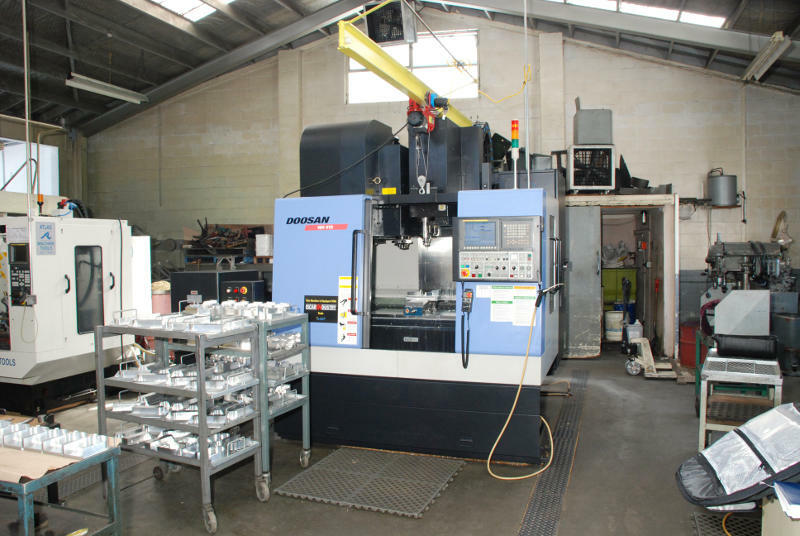 These machines can produce completely finished parts - front and back of the part turned and milled all without operator input - which can save dramatically in loading and setup cost in multiple process jobs. 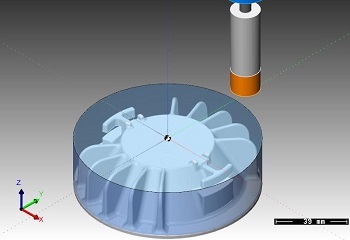 Maximum bar feed diameter 65mm, larger parts can be hand loaded. 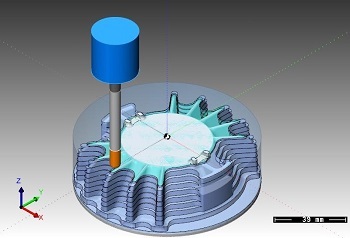 CAD/CAM technology is used for designing parts and programming CNC machinery to streamline the process to manufacture. 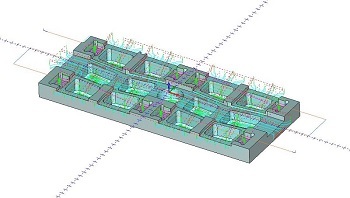 We use our 3D CAD software in conjunction with CAM software to create toolpaths for our CNC machinery. 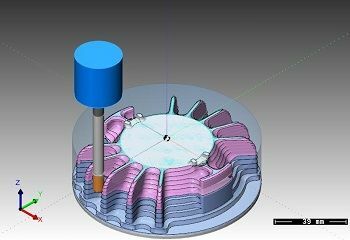 Our CAM software can create advanced 3D toolpaths for intricate shapes, rotary (or 4th) axis toolpaths, turned shapes and also mill-turn toolpaths for our multi-function CNC. This is great for programming the most complex of prototype parts and also for production jobs.